Set in Greenwich Village, Harlem, and France, among other locales, Another Country is a novel of passions--sexual, racial, political, artistic--that is stunning for its emotional intensity and haunting sensuality, depicting men and women, blacks and whites, stripped of their masks of gender and race by love and hatred at the most elemental and sublime. James Baldwin was born in 1924 and educated in New York. 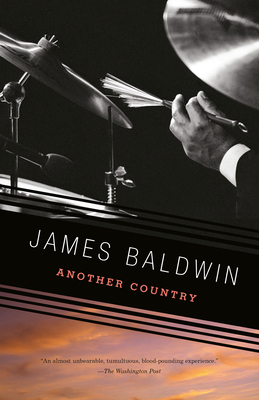 The author of over twenty works of fiction and non-fiction, Baldwin received numerous accolades, including a Guggenheim Fellowship and a Ford Foundation Grant. In 1986 he was made a Commander of the Legion of Honor. He died in 1987.